It's late autumn along South Boulder Creek but the trees and grasses are still holding onto much of their autumn spelndor. 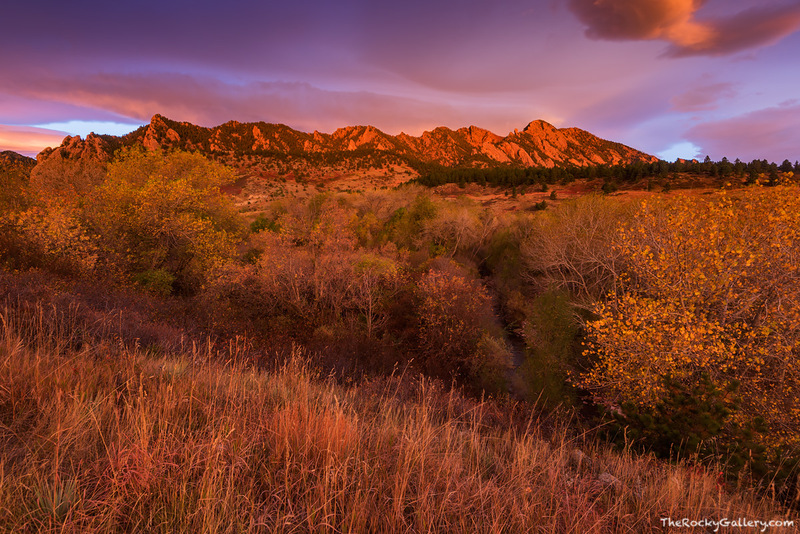 A sunrise that matches the intensity and beauty of the fall color along South Boulder Creek illuminates the skies over the Flatirons at sunrise from Eldorado Springs, just south of Boulder,Colorado. Photo © copyright by Thomas Mangan.